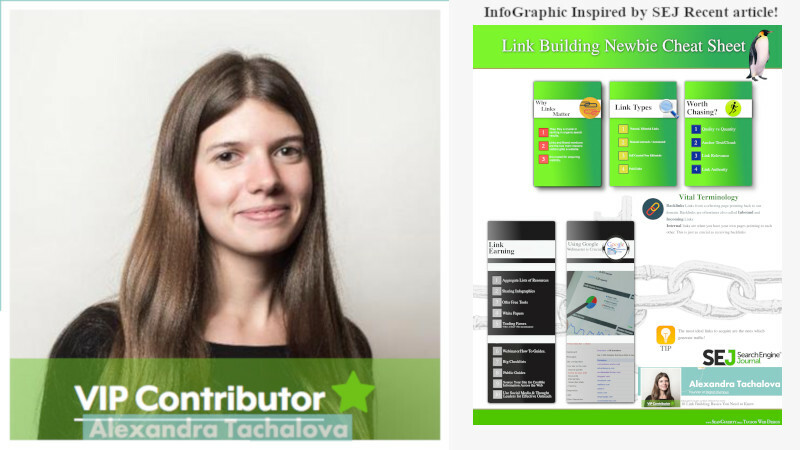 I made my infographic Link Building for Newbies because Alexandra Tacholova’s article inspired me! 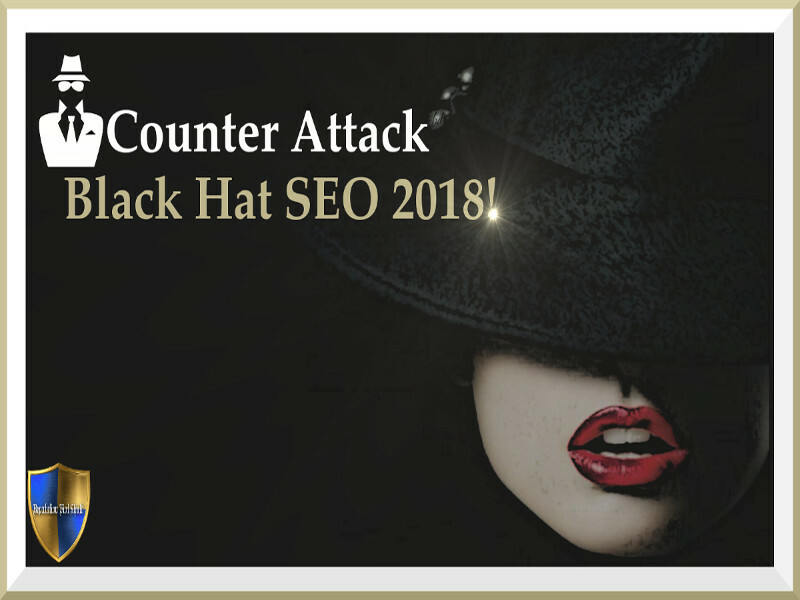 SEJ definitely has been one of my favorite SEO blogs for a while now. I like their wide variety of experts because it provides a different perspective way of thinking while conducting my own SEO. Furthermore, there is certainly more than one right way to do SEO (many wrong ways as well haha!). Just because Alexandra’s article is veered more towards SEO beginners, it internally links quite a large amount of great info all into one location! I counted 4 article writer’s used as references, could be more and I missed one lol! Despite just offering the basic fundamentals, I liked it because it solidifies your foundation and understanding as a whole. What I mean by this is it provides readers with a correct strategy early on! Although not the only reason I’m horrible at Golf! Something as simple as hitting a golf ball in a tiny hole several hundred yards away is very complicated! that exact same thing can be said about SEO(Minus the ball and the hole ROFL!) Something so simple as getting good links or producing good content. Everyone makes SEO mistakes myself included! However what’s important is being able to identify the mistakes you’ve made, and learn from them. So in conclusion, the reason I made this infographic, is that I think it will help beginners visualize these great principles Alexandra brought to light! This Link Building Newbie Cheat Sheet article wouldn’t be complete if I didn’t show you how to embed your infographic properly right? Embeds made ridiculously simple, for any platform or CMS! 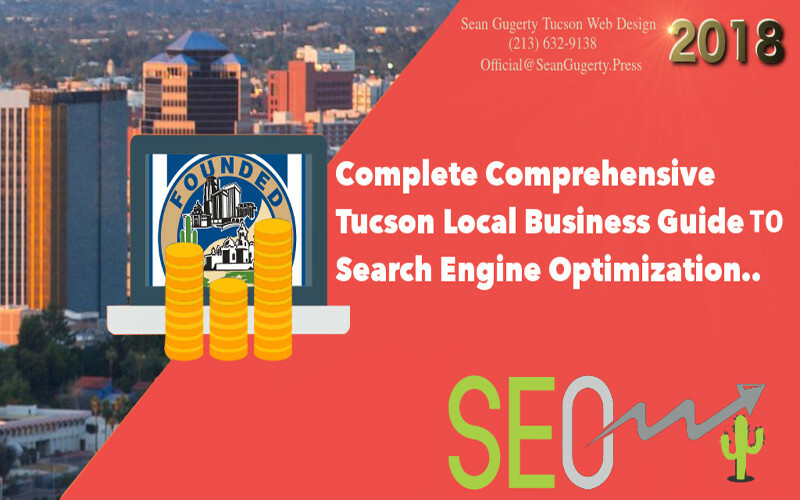 In 2018 Local SEO Guide! I covered many different aspects of on-site and off-site SEO so that your content is optimized. 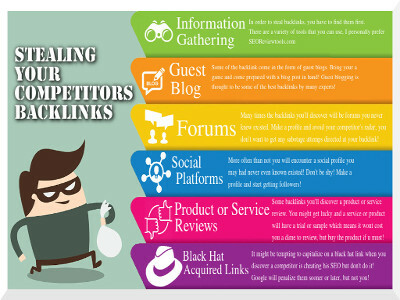 Furthermore, my guide on Stealing Backlinks shows you where to obtain a great list of ideal links, but how do we ensure our content is shared? Because I’m an advocate of minimizing WordPress plugin usage, I definitely avoided plugins for my infographics! 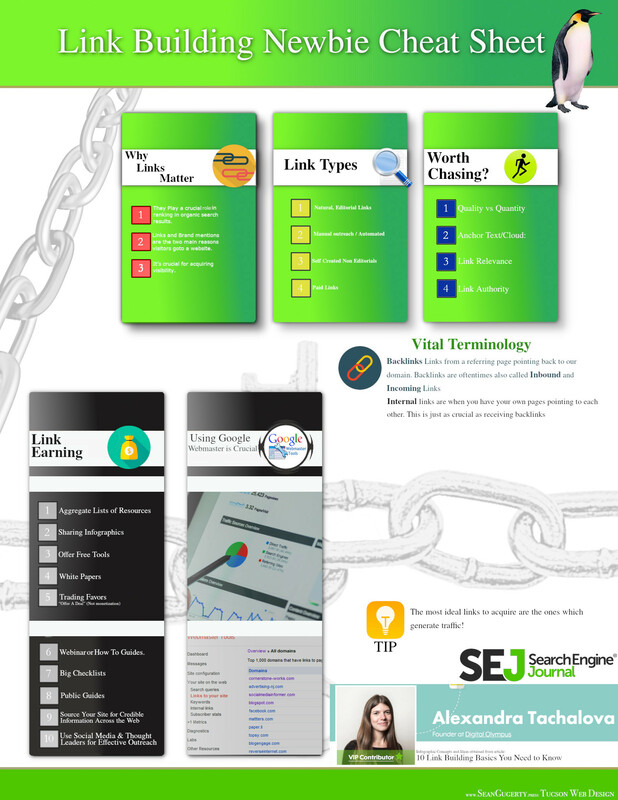 Using a wonderful service called Embedly, we’ll have an ideal setup for link building with our infographics! Link Building Newbie Cheat Sheet But No Infographic Tutorial? My bad guys! 🤗I’ve been so horribly slacking on providing some photo editing tutorials. If you’re on a budget you’re in luck because I use GIMP photo editor which is open source! So be sure and sign up for our newsletter so you’re alerted when my tutorial is released!